Six years ago, a young mother put her son in the care of his father while she took her first holiday since pregnancy. Just a day into her break, Catherine Franklin received the telephone call from her sister every mother dreads. Her only child, two-year-old Ryan Franklin-Khair, was critically ill in hospital. He never regained consciousness and subsequently died in Southampton General Hospital on 29 May, 2002. Her boyfriend Lee Khair was eventually convicted of killing the youngster - but the legal proceedings also led to more anguish for Ms Franklin as she was prevented from burying her son for 18 months. 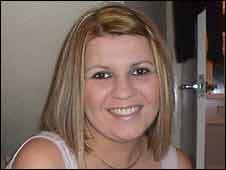 She said: "I called the police every other day about the case and to try to get Ryan's body back for burial." However, after six months Ms Franklin was told by police that the body would not be released until after the trial - which would delay the funeral for another year. "I went completely nuts," she added. 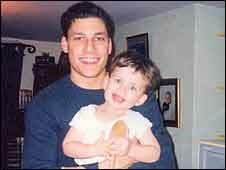 "I had been calling the police every other day about when I could have Ryan's body. "They told me in the morning and I went straight out and bought a bottle of vodka and got drunk for the rest of the day. "From then on, I drank a bottle of vodka a day, - sometimes in the pub, sometimes alone at home. "I needed a drink to get through the days - I was in limbo. "I felt numb on the day of his third birthday. I could not leave the house. "Even if I had wanted to go to the mortuary, I was advised not to. "One day I could bear what was happening, the next day, I was a complete mess." Haunted by the memory, she mounted a campaign to force a change in the law. The former bar manager, from Sheep Market Hill, Blandford in Dorset, added: "[During the 18 months] I called the coroner every week to find out when I could have my son's body but he said his hands were tied." The 24-year-old's GP offered her anti-depressants, which she initially refused. However, her resolve crumbled in July 2003, when her second son, Benjamin, was born. "The stress of the see-saw experience became all too much and everything was getting on top of me," she explained. "I was so angry but as the law stood I could do nothing about it." Ms Franklin has not been alone in her criticism of the current legal process, which can prevent funerals from taking place. Ms Franklin's campaign attracted the backing of more than 1,000 north Dorset residents who signed her petition and her constituency MP Robert Walter. And, as a result of her determination a new law, which, crucially limits the length of time any coroner in England and Wales can retain a body to a maximum of 40 days - unless there are "exceptional circumstances" has been introduced by the government. The Draft Coroners Bill is due to become law next year. During the trial the prosecution said Khair told them Ryan was "limp, bleeding from the mouth and had breathing difficulties and told hospital staff his son fell down the stairs". The 22-year-old told, who served three of his seven-year sentence, told police he awoke at 0530 BST to find Ryan at the bottom of a flight of stairs after discovering he was not in his room on that fateful day. The jury heard former soldier Khair, then of Worthy Down Barracks, Winchester, Hampshire, put his son in the recovery position and tried to revive him. 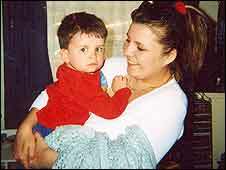 Ryan was born by Caesarean section weighing seven pounds and 11 ounces, shortly after noon on 11 February, 2000, following 36 hours of labour. Ms Franklin said: "When I look at pictures of him, I am thankful for the time I had with him but sometimes I breakdown and cry all day." His tiny, fragile body was finally released by the coroner on 3 November, 2003, two days before his funeral and subsequent burial in a Blandford cemetery. "I think about Ryan everyday, when I wake up in the morning and last thing before I go to sleep," she added. "I will continue to fight, I am doing this because I believe in justice, I believe that the victims should have their say."